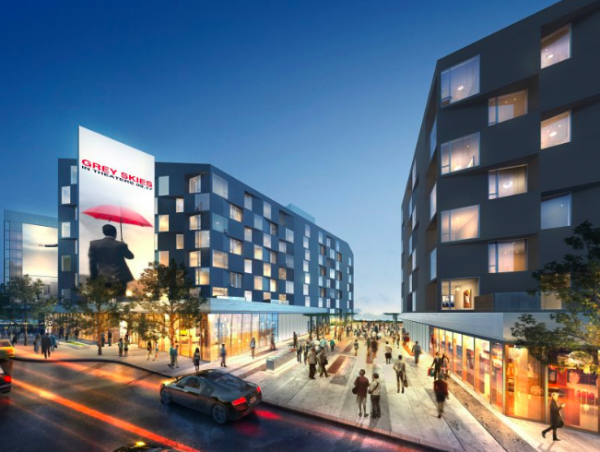 The West Hollywood Planning Commission last night voted to officially amend the city’s zoning code to clarify that long-term rentals of residential properties must be for a year or more. The vote came only after a long debate over whether such a requirement was a good idea. — Allow owners of single family homes or dwelling units in their back yards to be rented for shorter lengths of time. — Allow rentals of as many as 20% of the units in an apartment or condo building (or a maximum of five units, whichever is less) to be for periods of six months to a year. It also recommended that the Council ask the city’s planning staff to draft a proposal to allow extended-stay hotel developments or corporate housing, which is a term for housing owned or leased by companies and used by their employees for short-term stays. 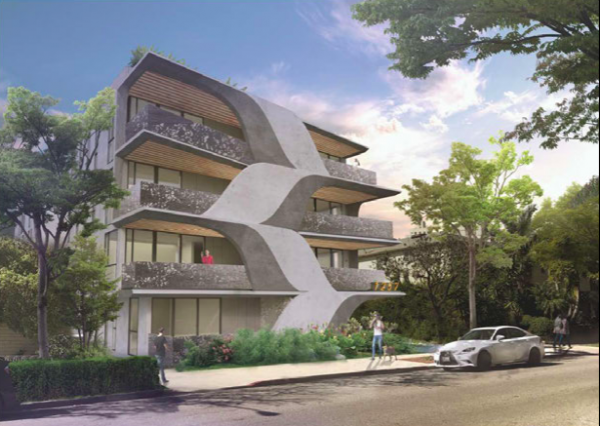 Last night’s decision was another step in the city’s effort to curb the use of the 110 apartment units at 8500 Sunset Blvd. as hotel rooms. BPREP 8500 Sunset LLC, the owner of that property, in 2017 began marketing those rooms as “extended stay” suites that could be rented for as few as 31 days. City Hall protested, arguing that BPREP had not gotten the city’s permission to operate as a hotel, and that allowing such use of the suites was effectively taking them off the long-term rental market in a city already facing a shortage of housing. However, the city’s zoning code didn’t expressly define the length of a required long-term lease. Interim-Planning Director John Keho ruled that the minimum period of a long-term lease was meant to be one year. BPREP has filed a lawsuit against the city contesting the decision. The one-year requirement would apply only to those buildings that received a development permit after May 1, 2001, which is when the city put into effect its initial requirement for a “long term” lease. It would affect 334 buildings with a total of 1,704 dwelling units, which is 6.5% of the dwelling units in West Hollywood. Speakers before the Planning Commission objected to the one-year minimum requirement for the initial lease of a rental property. Ted Green, a lobbyist for the owner of 8500 Sunset, cited the need for temporary housing by victims of the Woolsey fires. If the City Council were to affirm the one-year requirement for an initial lease “West Hollywood would be the only city in Cal to adopt such as regressive .. policy,” Green said. The one-year minimum also drew opposition from a number of real estate agents. Tanner Brown, a real estate agent with The Collective Realty, said that requirement would have an impact on what are known as “post-settlement occupancy agreements.” Those are agreements in which the purchaser of a house or condo allows the owner to rent the home and stay put until he or she is ready to move out to a new home. Commissioners Lynn Hoopengarner and John Erickson said they were concerned about how the city would enforce the one-year lease requirement. “How are you going to take the next step and enforce this when we are not able to enforce the Airbnb rules,” Erickson said, noting the city’s ban on short-term vacation rentals of apartments through that and other online services. 1019 N. Orange Grove Ave. The Commission also engaged in a lengthy discussion over a request to approve plans for a four-story, nine-unit apartment building at 1019 N. Orange Grove Ave. that would require the demolition of an existing one-story duplex. While the project got the blessing of the Commission’s Design Review Subcommittee, Planning Commissioners questioned whether it exhibited the “exemplary design” claimed by the developer in his request for permission not to implement the required six-foot setbacks of the top three floors. Commissioner Sue Buckner said it looked like many other buildings and thus wasn’t “exemplary” in its design. Lynn Hoopengarner criticized the design of the building and its landscaping and raised questions as to whether the windows met city code, which is determined by Planning Department staff. “This is the flattest most boring landscape I’ve ever scene… there’s not even a nice little wall to sit on,” she said. Commissioner John Erickson objected to the white stucco on the exterior walls and said the building looked like many others. “We’ve seen this building before, I’ve seen this building before,” he said. After a series of votes on various motions that failed, the Commission agreed to delay consideration of the project until a future and as yet undetermined date, which would allow the developer time to address various questions they had raised. A project that received the Commission’s endorsement was a proposed four-story, 14-unit condominium building at 1257 N. Sweetzer Ave. That would be built on a site that now includes two residential buildings containing three dwelling units. The building is designed by Patrick Tighe, a noted local architect. While Altschul and Erickson praised its design, Cavalheiro and Hoopengarner raised questions about what they saw as little focus on the design of the buildings side walls. Tighe said they had “put their energy” on the front façade and the building’s courtyard because those were the areas that would have the most impact. The Commission unanimously approved a proposal to turn a 16-unit apartment building at 1342 N. Hayworth Ave. into a common interest development. Michael Dubelko of Grovewood Properties LLC, said that conversion would allow the sale of empty units as condominiums. However no current tenants would be required to vacate their apartments. 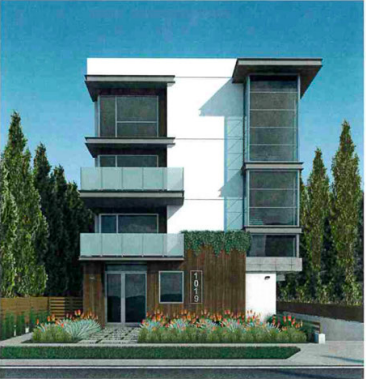 The Commission postponed consideration of a proposed five-story, 10-unit condominium development at 8615 West Knoll Drive at the request of the developer. You know what is IRONIC of this whole thing with short term rental or hotel stays which would have been considered if it was not underhanded. I like to live places long term and visit places short term as long as it is kept affordable! But this is pricing low income or moderate income residents and people out of options over people who have money and more money! However the city had no protections for section 8 tenants for private landlords to abide by for over 30 years because it was not in its municipal code or rent stabilization handbook! so landlords used a loophole to quit or get long term residents out because existing landlords or new landlords or owners wanted more money! Section 8 government subsidized units only recently to an exten have been enforced but in buildings that are older which luckily I knew 10 years ago I had to move to a building built before 1979. I support homeowners and their option but they have no supervision. I lived in a nine unit building and had a neighbor in my previous apartment complex who used here long term lease as a disguise to illegally rent to her friends who were film students in a rent controlled apartment and it took a year for the owners to finally find out and/or intervene and finally evict them with sporadic complaints from other neighbors due to fear of retaliation from the film students. People only cared about themselves. 1 bedroom apartment supposedly housed 4 of them and another two crashed on the weekends. Be transparent developers. You get tax incentives. The rich get ectended unofficial hotel stays and the poor have 2 overpriced motels if they are lucky to find vacancy in those places because on average a hotel room costs 400 night in Weho and our two motels are 100.00 a night plus tot transient occupancy tax. However us locals must fight just to remain here. Air B and B is not a bad thing but it is bad when developers become greedy and exclusively turn down people of lower financial means or locals and others on fixed incomes who are in between places but instead to wealthy studios and luxury clientele and don’t rent out affordable units as promised and then sue a city to change its laws or be strong armed into doing so. That is the red line that had been crossed. Oh and the In lieu fees is a fine example of an excuse to pay away the prospective low income tenants who live in the city or would qualify for s unit but now don’t by paying an amount that they would get by selling one condo. Or renting 5 luxury units for 500,000 dollars. This is only a small part of what is needed to protect the housing interests of non-millionaire working people. YES, regulations are needed to curb the practice of short term rentals of residential properties! I understand the idea of Joe and Jane Six Pack being able to rent out their place for a short term via the gig economy scams has a libertarian appeal of being some kind of personal small business entrepreneur and there are examples of this working but, only in the short term. In the long (sometimes not all that long) term we blur the line between residential vs commercial properties or homes vs motels/hotels and, the big business corporate real estate moguls come to play in this market. When that happens, their speculation drives property values well out of the reach of people unable to compete with the wealthiest investors. REQUIRING a minimum one year lease in residential properties helps keep the “get rich quick” scammers from taking over our housing and displacing us! What is needed is a great deal of regulation when it comes to curbing if not outright outlawing speculation in “residential” properties in order to protect peoples’ rights to affordable housing. A real nice start would be a serious Property Speculation Tax! YES this is something the City Council REALLY needs to take up. An anti-speculation tax tempers overheating demand by discouraging the practice of house flipping as well as short term rentals, helping to lower the high price of homes for sale and staving off the displacement of vulnerable residents. The really great idea for an anti-speculation tax to discourage reckless speculation in residential properties is the work of Supervisor Harvey Milk who first proposed it in the late-1970s in San Francisco. An anti-speculation tax could serve as part of a suite of wonderful socially responsible policies aimed at curbing displacement and maintaining affordable housing prices. should not be caught in this wild slipstream. Quality of life should be paramount. Just rewards should follow proportionately. Gentrification is NOT a bad thing. Most people wouldn’t be living in West Hollywood if it wasn’t for it, or any neighborhood that improves its quality of life, services, etc. by having some affluent people create the demand for higher quality businesses. You talk like a socialist. A failed concept. Visit Venezuela and see how that’s working. Keep talking like you do and everything will look and feel like one is living at the DMV with people who treat you like a number, not a human. West Hollywood has a affordable housing options for such a SMALL amount of space, 1.9 square miles. Some of your points are valid, but mostly it’s a socialist rant. NO the Great City of West Hollywood was NOT founded on gentrification and most people are here in-spite NOT because of it. “West Hollywood was founded by advocates for rent control who wanted to preserve the city as an affordable place to live.” The proof of this can be found by Subscribing to and Reading articles on the topic published in the WEHOVILLE! Democratic Socialism has succeeded in many more places than it has failed! You need only look at Germany, France, Sweden, Denmark, Great Britain, Japan, Australia, Italy, Canada, Norway, Spain, Finland, Ireland, Belgium, New Zealand, Austria, Switzerland or the Netherlands. In the failures like Nicaragua, Venezuela and, others; outright terrorism by the United States in the form of covert ops is entirely to blame! As for the closest DMV in West Hollywood, have you seen the Google reviews for the DMV at 936 N Formosa Ave, Los Angeles, CA 90046? Feel free to exclude my review and, they still do very well! Mind you that I am NOT opposed to urban renewal and fixing deteriorating infrastructure, the American Recovery and Reinvestment Act was an excellent idea. The problems in “gentrification” come from forgetting that the horse comes before the carriage, by building up “tourist attractions” at the expense of public or low income housing. The tourist attractions largely offer service jobs that don’t enable the employees to live in the area. John Altschul had it right. His background as the longest serving planning commissioner in city history and a lifetime as a brilliant attorney led him to conclude a no vote. If a person owns their condo or home and wants to rent it out for six months what is the problem. If a person sells their home or condo often they lease it back for a month or two from the buyer while they prepare to move or find a new home. Under this ruling it would be illegal to ‘lease back’. If a homeowner chooses to travel for the summer and rent their home instead of leaving it empty and open to burglars or squatters that would be illegal too. I do not believe the city council should conflate what is happening at 8500 Sunset and that development agreement with single family owners of condos or homes. This is not only ‘overreach’ there are no other cities that have any laws of this type that strip property owners of their rights. And furthermore as spoken from the Cedars Sinai Hospital, a critical employer in this city, one cannot rent an apt or home for three or six months under this stupid rule while a patient undergoes treatments. Enforcement would also have its issues. The council needs to address this matter with the expertise it deserves. Larry – great response and well said. I 100 percent agree. Changing the rules for the whole city to try to solve the problem with one property is a very hasty way to deal with the problem. The unintended consequences of this decision to try to win the battle with 8500 Sunset are pretty terrible and the rest of the landlords in the city should not be punished for the sins of one. I hope the council isn’t stupid enough to actually pass this ill conceived regulation.